JoD content is now available on iTunes. Browse our listing of articles currently ready for download, and keep an eye out for additional content to follow soon. 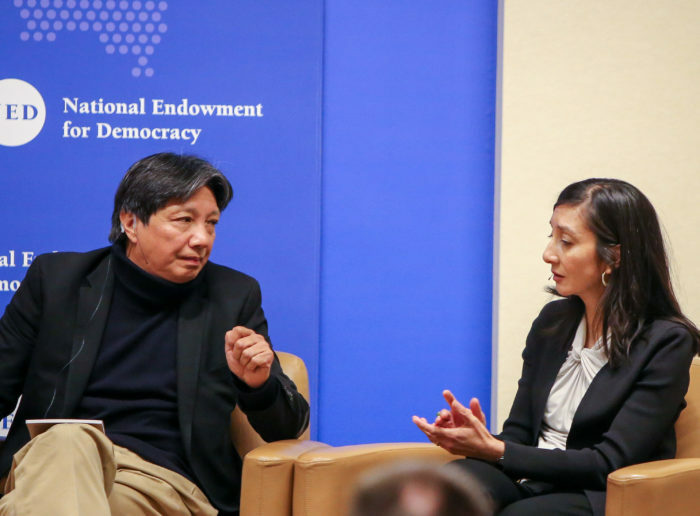 On 19 March 2019, January-issue contributors Ronald J. Deibert and Xiao Qiang discussed new dangers presented by social media and related digital tools with Shanthi Kalathil and Christopher Walker of NED’s International Forum for Democratic Studies. An editorial on China’s digital repression highlights the work of JoD contributor Xiao Qiang, who in our January issue warns that the integration of new digital technologies and mass information collection may soon enable Chinese authorities to preemptively crush opposition. Drawing on his October-issue contribution “Latin America’s Shifting Politics: The Lessons of Bolivia,” Jean-Paul Faguet explains why the collapse of Bolivia’s party system may offer “an analytical window into the future” for Western countries.